While there were many impressive Spirit Week costumes, only the best-of-the-best were awarded the spirit stick. For the second straight year, the notorious spirit stick made its return to Spirit Week. “The spirit stick is an award to recognize the students who exhibit school spirit by being the best dressed according to the theme each day of Spirit Week,” said MaryKate Kopsky, Spirit Club member. The tradition began last year when Connor Hafenrichter chose to award the spirit stick to the best-dressed student each day of Spirit Week. Students quickly learned that this stick is no ordinary stick — it represents school spirit and bragging rights. “The reactions around school were very positive and it helped motivate students to dress up,” said Kopsky. As Spirit Week approached this year, many students dressed up with high hopes of winning the spirit stick; however, only the five most creative and festive were awarded. 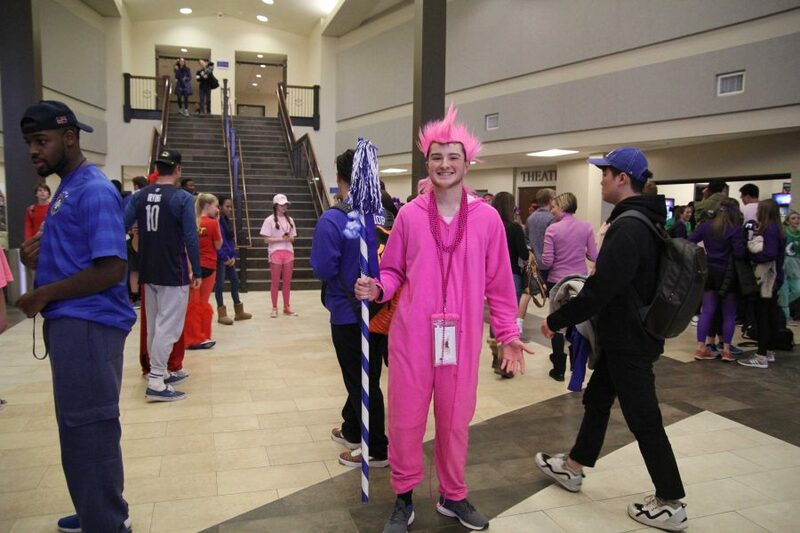 To start the week, junior Stephan Gross’ hot-pink wig and pink onesie won him the spirit stick on Monday. “I tried to wear as much pink as I could and wear some crazy stuff as well. I was surprised to win but I was super excited to have won. I liked all the high fives and congratulations I received,” said Gross.